Testing your smoke alarm can save your life in the case of a fire. 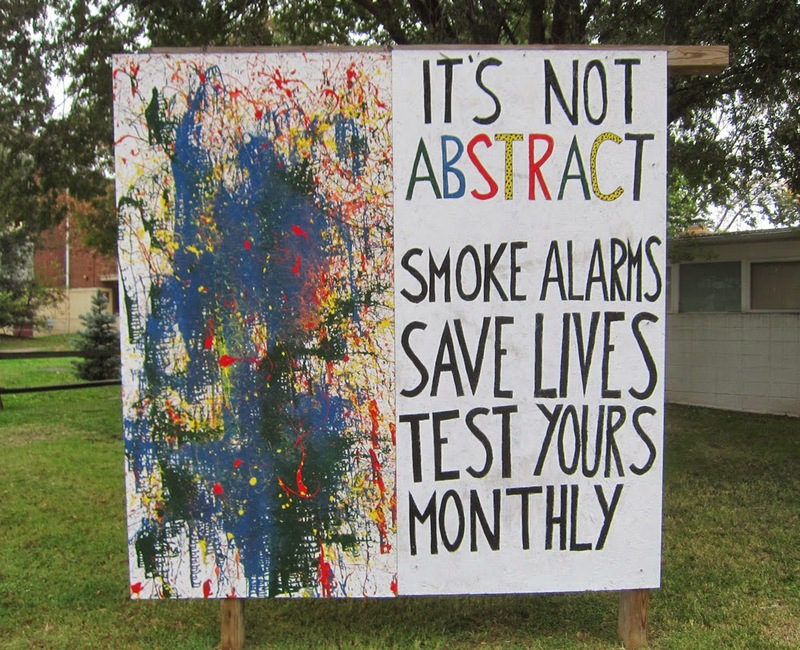 Rosslyn's legendary "beasts of the boulevards" at Rosslyn's Fire Station 10 have commissioned an abstract painting in the school of Jackson Pollock to encourage everyone to test their smoke alarms. Go test your fire alarm now. According to a covert source, a hot fight is underway between Fire Station 10 and Artisphere for rights to display this work on a permanent basis. Fire Station 10 is quite crowded and cannot easily accommodate visitors wanting to see the art. Artisphere could easily accommodate a large number of art aficionados. On the other hand, fire art would seem to truly belong in a fire station. Count on the Ode Street Tribune for providing any further news in this developing story.